Finally, a pair of shoes that doesn't require socks! Molly is super stoked! 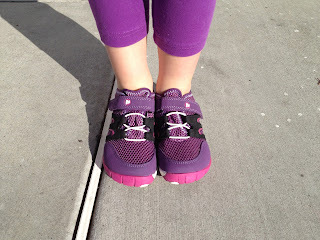 They are the Merrell Kids Barefoot Trail Glove 2 (in wineberry).